The world of 7-string guitars has exploded in recent years, with many players in the hard rock and metal community enjoying the extended low range that the extra string provides. The world of 7-string guitars has exploded in recent years, with many players in the hard rock and metal community enjoying the extended low range that the extra string provides. The LTD EC-407 was designed for performance with exactly these things in mind. The 3 pc. maple neck and mahogany body with maple cap ensure that even your lowest notes will stand out to the crowd. In addition, you get an attainable way to get into professional 7-string playing, with premier construction and active electronics (EMG 81-7 / 707). 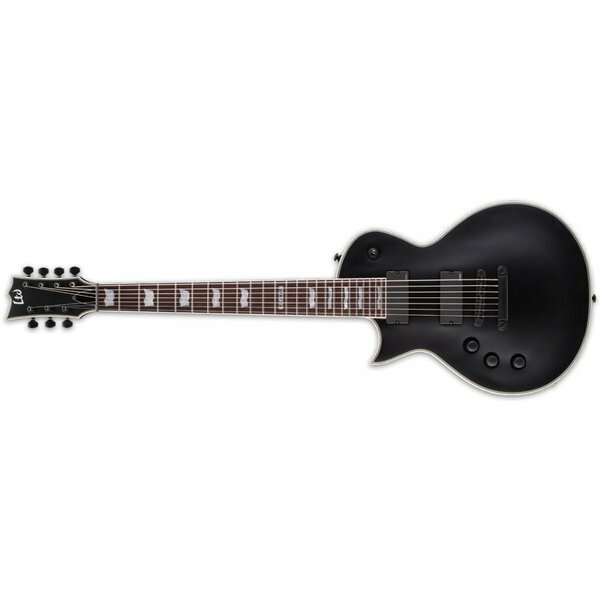 Available in Black Satin or Snow White Satin finishes, matching black satin hardware, and 24 XJ fret rosewood fingerboard.